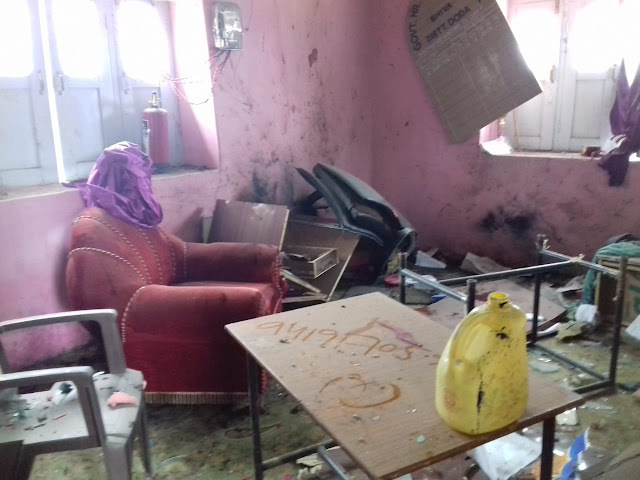 Blast Inside Government School ,Principal InjuredBY ABID PAMPORI Doda:: Panic gripped Shiva village today when a mysterious blast of mild intensity occured inside government Hr.Sec.School Shiva at around 9.30 am . As per reports the blast occurred in staff room of the School in which Mr Hoshyar Singh Principal of the school has been injured critically.The injured officer was shifted to DH Doda for treatment from where he has been referred to SMVD Narayana Superspeciality Hospital Katra for specialised treatment. However his condition is stated to be stable.